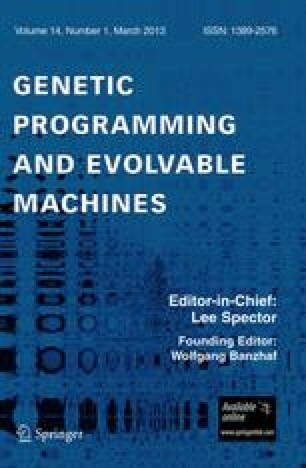 We present the results of a community survey regarding genetic programming benchmark practices. Analysis shows broad consensus that improvement is needed in problem selection and experimental rigor. While views expressed in the survey dissuade us from proposing a large-scale benchmark suite, we find community support for creating a “blacklist” of problems which are in common use but have important flaws, and whose use should therefore be discouraged. We propose a set of possible replacement problems. Thanks to Ricardo Segurado and the University College Dublin CSTAR statistics consultancy; thanks to Marilyn McGee-Lennon in the School of Computing Science at the University of Glasgow for her advice on survey design, and to the School itself for providing the supporting web service. Thanks to all those who participated in the GP survey and have engaged in discussion through the GP mailing list, the benchmark mailing list, and the GECCO 2012 debate. Thanks to the anonymous reviewers of this paper. David R White is funded by the Scottish Informatics and Computer Science Alliance. James McDermott is funded by the Irish Research Council. Gabriel Kronberger is supported by the Austrian Research Promotion Agency, Josef Ressel-centre “Heureka!” Wojciech Jaśkowski is supported by Polish Ministry of Science and Education, grant no. 91-531/DS.